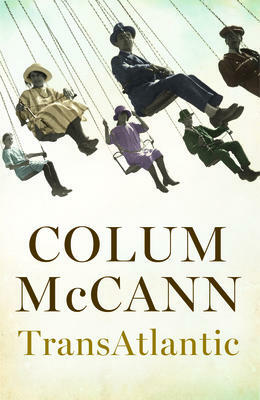 This is another ambitious and successful novel by the Irish writer, Colum McCann. Called Transatlantic, it moves between two continents and across three centuries. We see the black American slave, Frederick Douglass, coming to Ireland in l845 to champion the ideas of democracy and freedom. Then in l9l9 two brave airmen pilot the first non-stop transatlantic flight from Newfoundland to the west of Ireland. Finally, in l998, the American Senator George Mitchell crosses the ocean to help Northern Ireland’s difficult peace talks to an uncertain conclusion. Running alongside and through these major stories are the lives of four women, whom we get to know and love. One reviewer writes that the uncanny thing about McCann is the way he finds the miraculous is inseparable from the everyday. Lives are made amid and despite violence. He threads together public events and private feelings. McCann was born in Dublin, Ireland but is now living in New York and teaching writing at Hunter College. He has written six novels and two collections of short stories. He has won several major international awards and his work has been published in more than thirty-five languages.